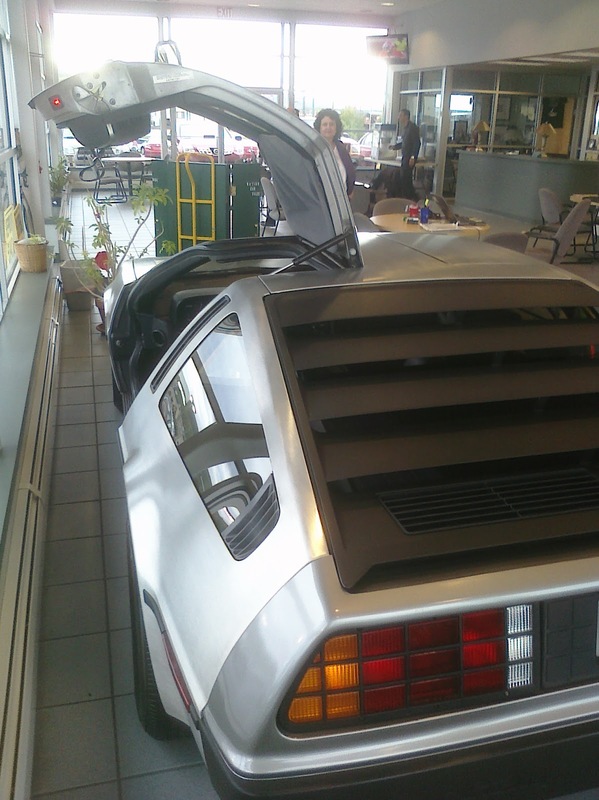 NCFE: My life is (nearly) complete: I got to see a DeLorean. My life is (nearly) complete: I got to see a DeLorean. 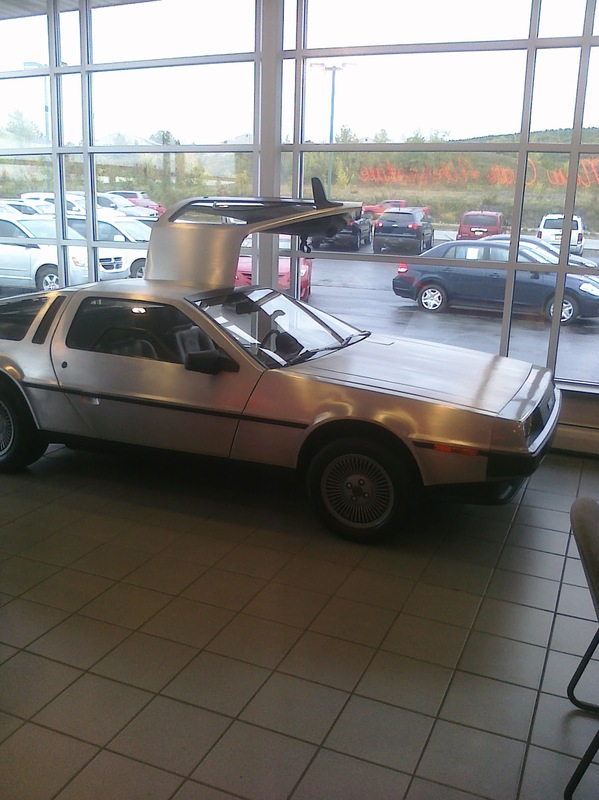 One of the greatest cars ever made was the DeLorean...the same car used by Marty McFly for time travel in the Back to the Future movies. 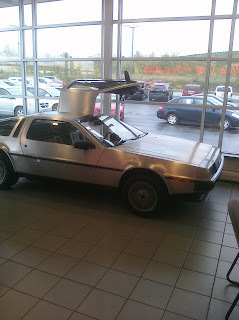 While shopping for a car yesterday at Nationwide Car Sales in Wilkes-Boro, I was astounded to find none other than a DeLorean in the showroom. Apparently the car belonged to the owner of the dealership (who also owns Ken Pollack Nissan and Ken Pollack Suzuki) and was not for sale. 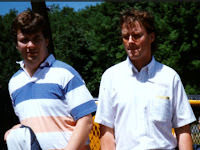 The vehicle was completely restored and had a hair over 1,000 miles on the odometer. Since I was spending a fair sum of money on a car at the dealership and since we had some time to kill with the paperwork associated with buying a car, photos were taken. Up close with a classic car. The stainless steel exterior is way cool. Gull-wing door! The doors actually don't take much side room to open; as you can see the driver-side door is actually really close to the wall, but yet opened with room to spare. Pay no attention to the stranger in the background. Sadly, this DeLorean did not have a Flux Capacitor. The gas fill is actually right in front of the windshield. 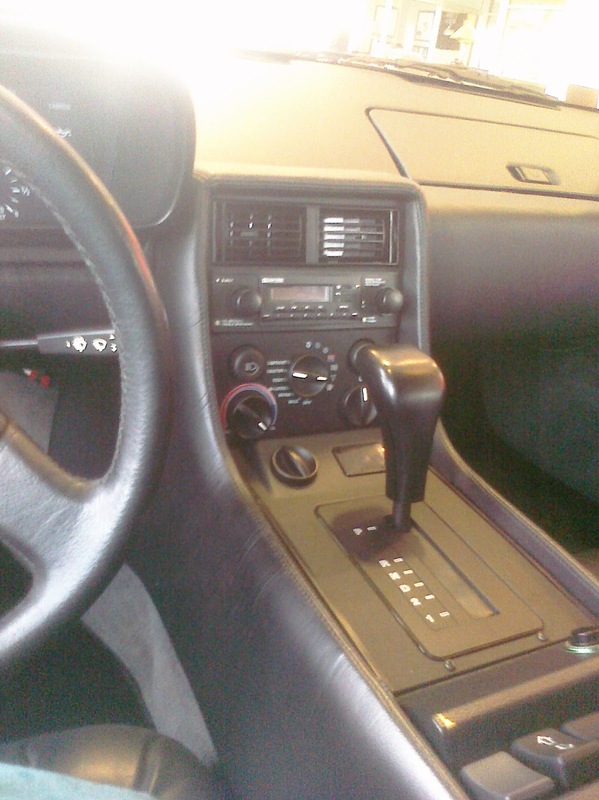 DeLorean interior. Cutting edge stuff for 1981. You end up sitting so low in this car...literally just a few short inches off the actual ground. Manufactured June 1981. 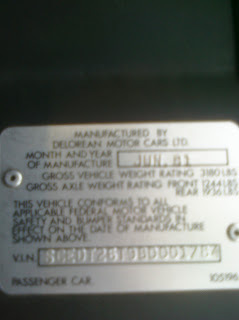 Some of the dealer guys told me that the DeLorean used a Volvo engine. The actual vehicle I ended up buying: a 2011 Nissan Rogue. I am really happy with the choice. Mitsubishi Endeavor - Really big, but handled reasonably well. Had a ton of storage space. 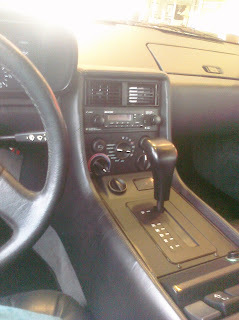 I really didn't like the dash/controls (the radio was just a bunch of random buttons on the dash). 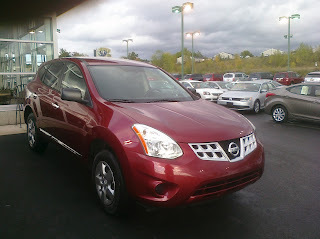 Nissan Rogue - Loved how it handled...drove like an upscale sedan. Controls are excellent, and I love dark red. Had the smallest cargo space of the three we drove, but it also though was head-n-shoulder above the others in handling. Controls are excellent. The front seats are very comfortable. Toyota RAV4 - Packed more cargo room into a seemingly small space than the Nissan did. Handling was great, but the vehicle felt somehow lighter than the Nissan. Controls were decent, although it had fewer display options than the Nissan did (didn't have, for example, a "distance to empty" reading). In the end, I sacrificed some cargo space for far better handling. 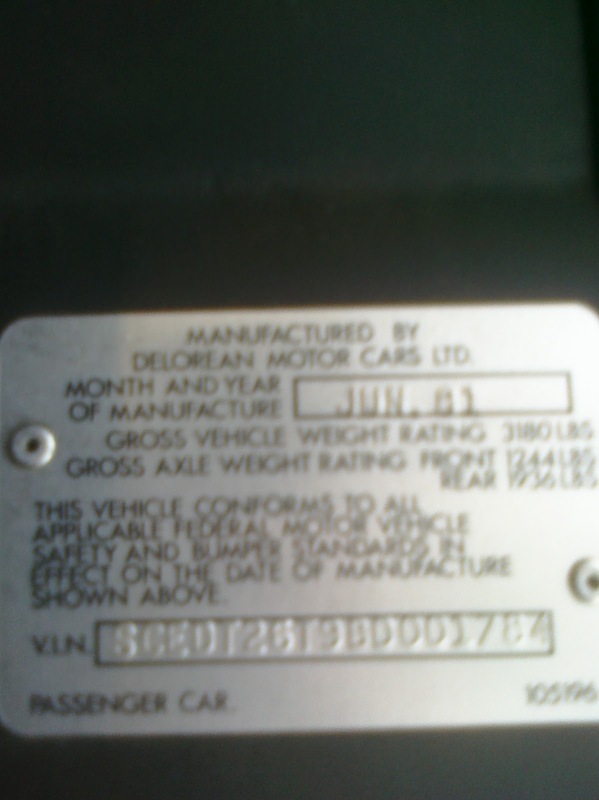 Note that Consumer Reports rates both the RAV4 & the Nissan as being very reliable. Coming from a very logical mind this next statement may seem out of place, but I'll say it anyway: I also really liked the color of the Nissan. Many thanks to my partner in crime, Ms Rivers, for helping me with the decision making process. 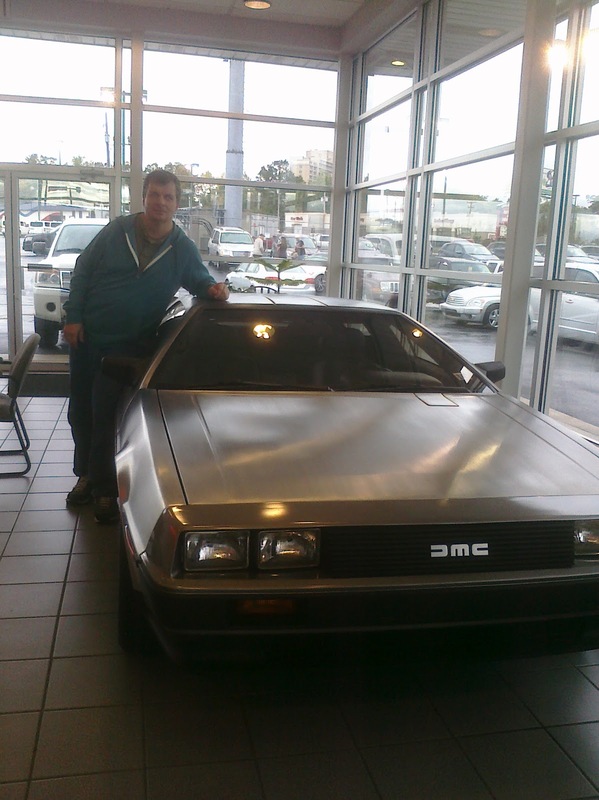 New car and a DeLorean: 'twas a good day.